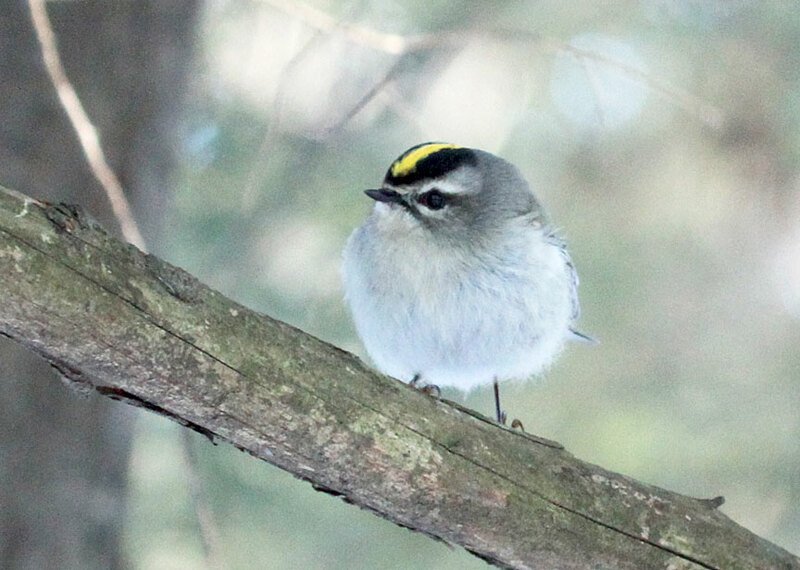 Our tiniest winter bird (barely larger than a hummingbird) is the golden-crowned kinglet. 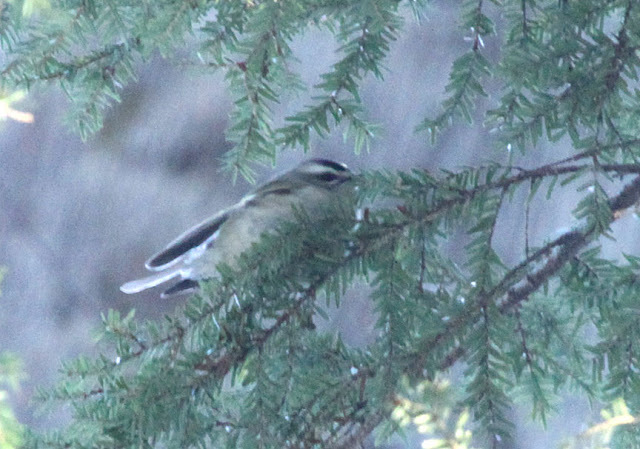 We see them all winter in conifers, particularly hemlocks and pines, actively flitting around finding insects. Yes, insects! 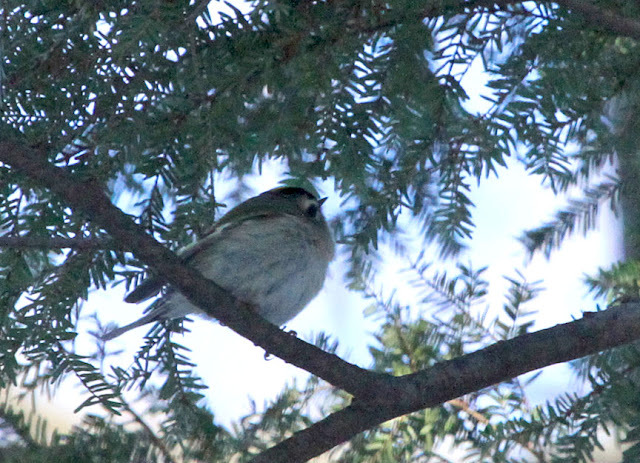 They don't eat seeds, these bird are insectivores. They move around so fast, Gerry had a hard time getting one to stay still long enough to focus and shoot. This is a great shot of the golden stripe on his crown. Bernd Heinrich's book "Winter World; the Ingenuity of Animal Survival" has a great section on this bird and is well worth a read if you haven't already done so. Cool! I wonder if these guys are out there in my Hemlocks?? they certainly are!! sound like high pitched chickadees - 3 note tseet tseeet tseet, look for tiny birds flitting around nonstop!